When you buy this product you earn 30 Reward points. 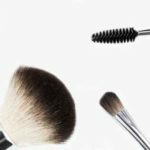 The Powder Brush is a full and softly rounded Powder Brush. The structure and shape of the brush make it possible to apply the Powder finely and evenly. This fine product is handmade by an Italian family business specialising in the production of synthetic brushes. No animal materials have therefore been used. 1. What Do I use the Powder Brush for? You can use this Powder Brush to apply the Powder and Bronzer by Dr. Jetske Ultee evenly and lightly onto the face. 2. 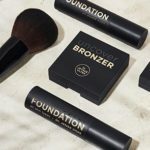 What is the best way to use the Powder Brush? 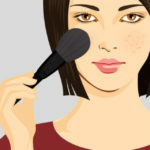 Before applying, tap or blow the excess powder from the brush. Then apply the Powder evenly across the face. 3. Does the brush contain animal or synthetic hairs? The brush is made with synthetic hairs. No animal material has been used. 4. How can I clean the Powder Brush? If you use the brush daily, clean it every couple of weeks with warm water and a little Dr. Jetske Ultee Cleanser or a mild shampoo. Leave the brush to dry.